Mercedes-Benz Certified, CARFAX 1-Owner, Superb Condition. PRICE DROP FROM $26,991. Navigation, DVD Entertainment System, Heated Seats AND MORE! Power Liftgate, Turbocharged, iPod/MP3 Input, Onboard Communications System, Aluminum Wheels Rear Spoiler, MP3 Player, Remote Trunk Release, Steering Wheel Controls, Child Safety Locks. MULTIMEDIA PACKAGE COMAND System w/Hard Drive Navigation, DVD Player, SiriusXM Traffic & Weather, Single CD/DVD Player, Voice Control, Rearview Camera, PREMIUM PACKAGE KEYLESS-GO, Garage Door Opener, Heated Front Seats, SIRIUSXM Satellite Radio, Auto-Dimming Mirrors, Radio: harman/kardon Logic 7 Audio System, Dolby 5.1, BI-XENON HEADLAMPS LED taillights, BLIND SPOT ASSIST. 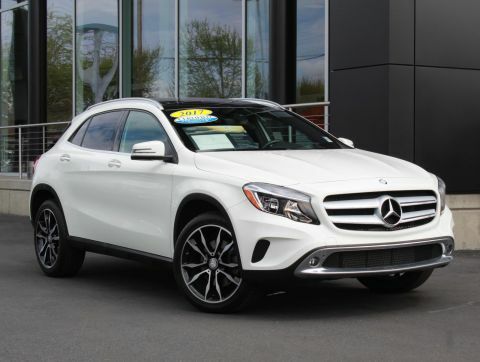 Mercedes-Benz GLA 250 with Mountain Gray Metallic exterior and Black interior features a 4 Cylinder Engine with 208 HP at 5500 RPM*. Serviced here, Non-Smoker vehicle, Originally bought here. Edmunds.com's review says The GLA's relatively tight turning circle of 36 feet proves well-suited to the cut and thrust of urban driving.. Great Gas Mileage: 35 MPG Hwy. Was $26,991. 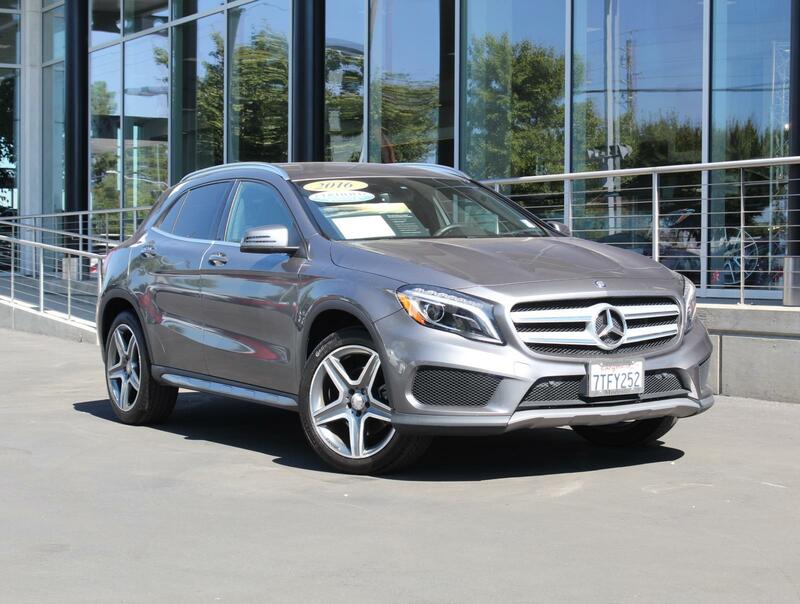 This GLA 250 is priced $1,600 below Kelley Blue Book.